In June, we shared information to Downtown business and property owners about Bus Rapid Transit (BRT) routes that would be going to City Council at their meeting of June 20, 2018. This provides information on next steps and when the matter will return to City Council. 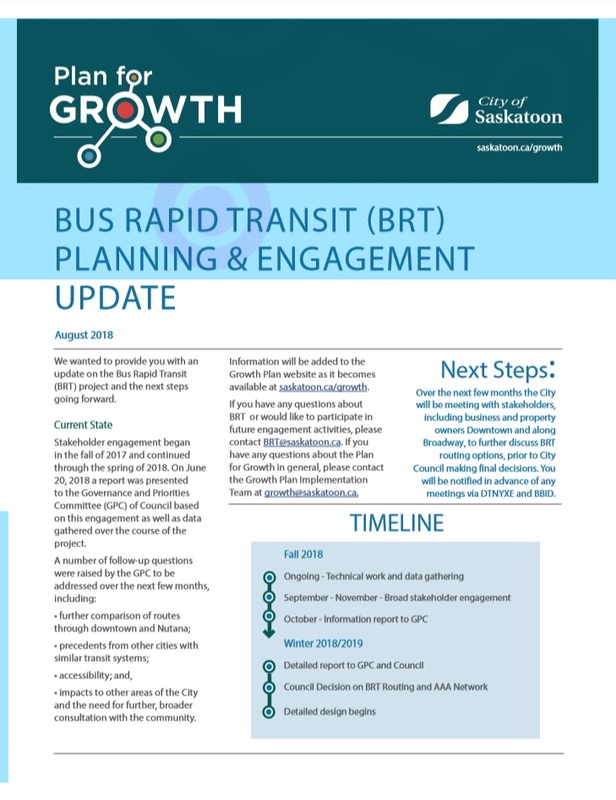 The document to the left provided by the City of Saskatoon is an update on their plans for BRT Planning & Engagement. If you’re interested in reviewing the minutes from Council’s discussion on June 20, they can be found here. Examining the short and long-term development for the future of route options to identify biggest area of growth for transit users. 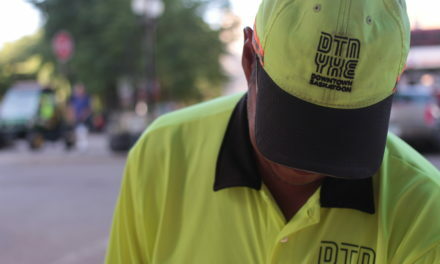 In winter 2018-2019, a further detailed report will go to City Council and a final decision on BRT routing and protected bike lanes is expected sometime in early 2019. 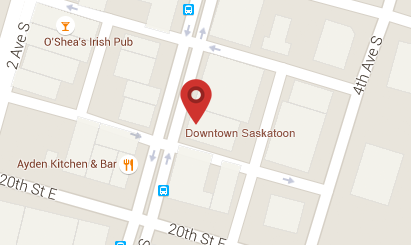 You are encouraged to learn more about the City of Saskatoon’s plans for BRT and to contact our office and your City Councillor if you have questions, comments, or concerns.